الخيار الأفضل للحصول على المتعة والاسترخاء، Citylife Hotel يقع في منطقة رائجة من أفضل مناطق المدينة. يحظى هذا الفندق ذو 4.5 نجمات بمكان ممتاز يسمح بالوصول إلى المعالم السياحية الأكبر في المدينة، فهو يبعد مسافة 0.01 km عن صخب المدينة. سوف يعشق النزلاء موقع هذا الفندق، فهو قريب من أهم المعالم السياحية في المدينة . إن Citylife Hotel حريص على توفير الراحة للنزلاء، فلا يوفر الموظفون جهداً في تقديم أفضل الخدمات وضمان حسن الاستقبال. هذه بعض الخدمات الموجودة في هذا الفندق: خدمة الغرف على مدار الساعة, واي فاي مجاني في جميع الغرف, خدمة التنظيف يوميًا, مكتب الاستقبال على مدار الساعة, مرافق مخصصة لذوي الاحتياجات الخاصة. استمتع بوسائل الراحة الراقية في الغرف أثناء إقامتك هنا. بعض الغرف تتضمن تلفزيون بشاشة مسطحة, سجاد, قهوة فورية مجانية, شاي مجاني, بياضات لمساعدتك على استعادة طاقتك بعد يوم طويل. يقدم الفندق العديد من الفرص للاستجمام كمثل مركز للياقة البدنية, حمام سباحة داخلي. اكتشف مزيجاً ساحراً من الخدمة الاحترافية والخيارات الواسعة من وسائل الراحة والمتعة في Citylife Hotel. The place was just situated along city area with few supermarkets nearby. Staff was friendly. There was a limit to wifi connection. However, the connection is pretty strong. The only cons is shampoo and body gel was not replenished on daily basis. This applies to laundry powder and dishwasher liquid. This hotel is located in the middle of Queen Street which is a strip of shops, offices and eating places. It's about a 10 min walk to the Sky Bus service bustop which brings/sends you to and from the airport. Attractions It's also walking distance to the Harbour, which you can take ferries out to the nearby islands for day trips eg Davenport. You can also walk to the Sky Tower to (a) admire the 360deg view (b) Sky walk (c) Sky Jump. Staff All the staff I spoke to (reception, concierge) were delightful and knowledgeable. Cons While there is free wifi, there is a cap per 24hours. My office was located in the Crombie Lockwood Building, just steps away from Citylife Hotel. Even if it weren't so near my office, its location on Queen Street is excellent, within walking distance to the best of what the city has to offer, including the Viaduct Harbour. It is also just 10 minutes' walk to the Ferry Terminal, great for day trips to Devonport, Rangitoto Island, etc. The staff were friendly and helpful. I was greatly welcomed by the friendly service of the Reception, and was helped many times during my stay by the concierge (Chinese guy was really helpful every time he saw me carry many things). I enjoyed the daily breakfast at Zest Restaurant as well. Great selection of healthy foods! The room was well laid out and very comfortable. The kitchen and the bathroom were well stocked and put to shame some other properties we stayed in (they managed to put in an oven, a microwave, a family fridge, dishwasher, washing machine and dryer in one corner, away from the living area). Despite being in the city, the rooms were well insulated from noise. I booked 3days 2nights in Citylife hotel to enjoy my honeymoon. I perfer to stay a hotel than apartment and other accomodations. It is important for me to clean in selecting rooms. In case of Newzealand, there are a carpet in all rooms without toilet. City life hotel serve for pay one milk, tea and coffee per day. But there is no dringking water in freezer. Anyway, I am satisfied with room conditions. Also, this hotel is located in city and airport suttle bus stop within 10minutes. I can walk around famous site Unfortunately, room is very small. Definitely would recommend to everyone location is right in the Centre of Auckland city shopping malls, restaurants,public transport Rooms are big,spacious as I was with young teenagers definitely would come back.The pillows are so comfy and the staff were helpful. The only thing that we didn't like was our room was next to a bar and the noises were abit extreme and we couldn't sleep until the bar closed otherwise it was one of the best central hotel in Auckland. We booked a 2 bedroom apartment but to our delight, we were upgraded to a 3 bedroom penthouse apartment. The apartment was very clean and well maintained. The location of CityLife Hotel is excellent, right on Queen Street, the main shopping area. I would definitely come back and stay at this hotel. Had a short layover in Auckland before heading home after a cruise of New Zealand. 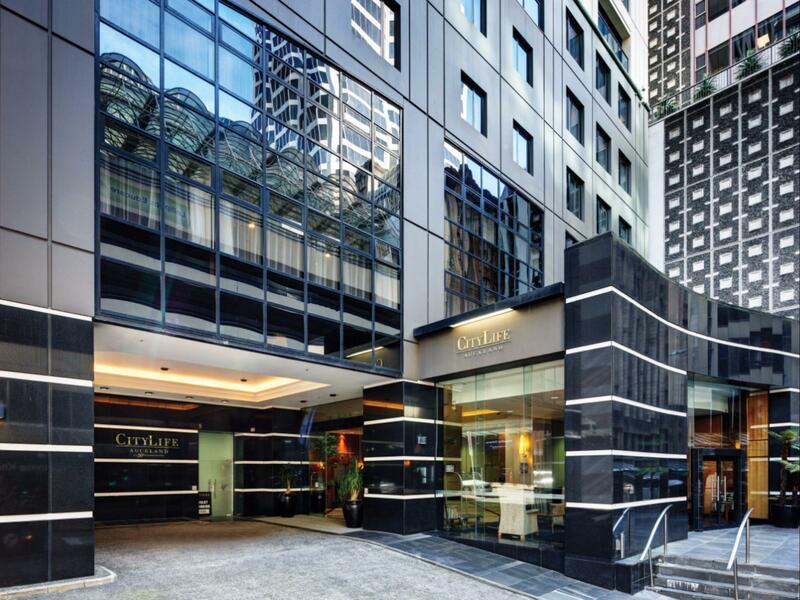 CityLife hotel at Queen Street is situated right in the heart of the city. An easily manageable distance from the cruise ship terminal and an excellent base to explore Auckland's art gallery and museums. Plenty of restaurants and coffee shops nearby for dinning or just short stops for a break. Rooms are of reasonable size with the usual amenities. Staffs are courteous and helpful. Breakfast is not included in the listed price of rooms. But about 50 meters from the hotel is a large supermarket which is convenient for getting fresh fruits, snacks or drinks of all kinds. 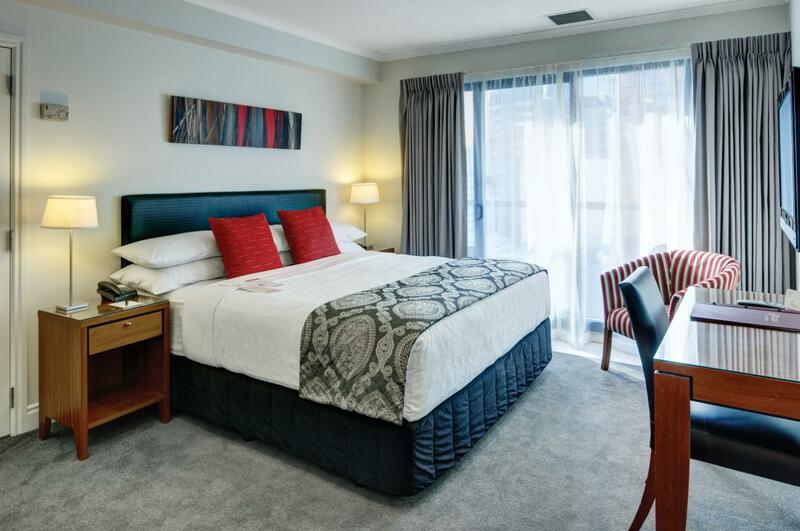 There is a Skybus that connects the city to the airport but the pick-up points near Queen Street are all quite a long walking distance from CityLife Hotel. On Queens Street, right in the centre of the shops and just a short stroll from the harbour, with all its cafes and the fabulous ferry over to Devonport. 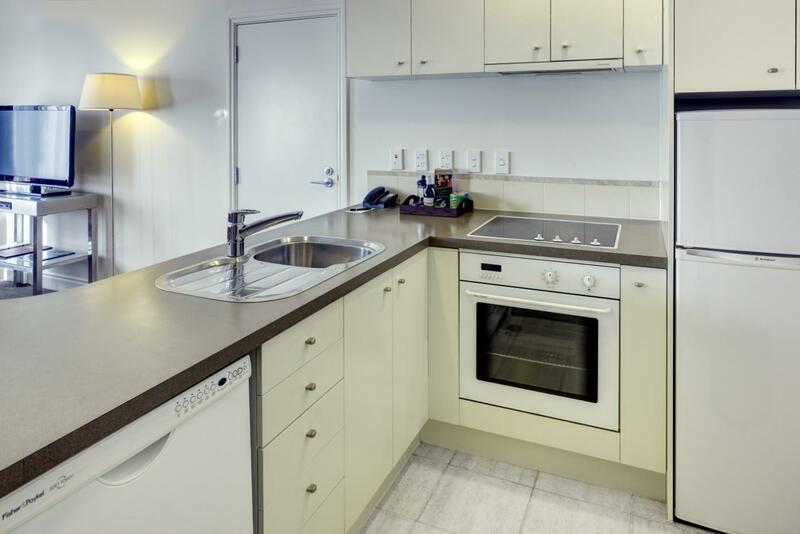 Couldnt believe how good the suite was, fully equipped with everything from a washing machine to a dishwasher. We ate in one night but you could easily shop at the nearby Countdown store and eat in every night which will justify the cost of a suite. Didnt want to leave and then to top it all the hotel will arrange a taxi to the airport at a very favourable rate. All round a superb stay. Didnt want to check out. 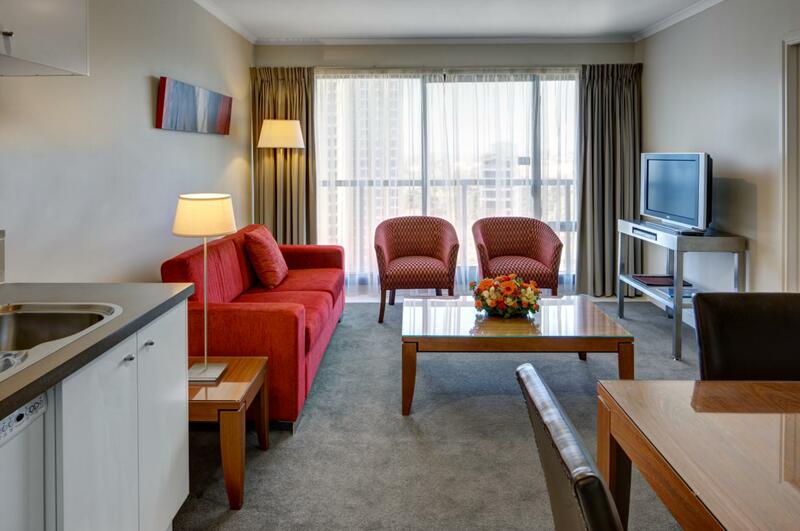 The Citylife is a very nice hotel, with a central, convenient location on Queen St.. The room was very comfortable and a pretty good size. My only negative comment would be about the Internet service... very weak signal and slowwwww. It took about15 minutes to get logged on and then it was so slow and choppy I could not run standard sites like Yahoo, Google or Facebook without them timing out. Hope it was just a bad day, not the usual service. Overall a good hotel in cbd. But too narrowly located among the buildings, took me three rounds to find the right way to drive in. No car park attached. Luckily there is valet at 40 per night. Services are not bad. Hotel is clean. 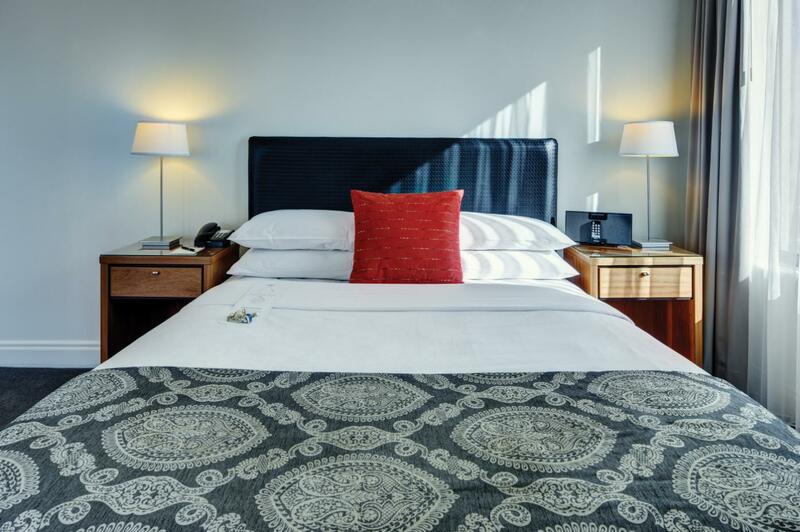 We really found our stay at CityLife, 171 Queen Street, offered everything we needed - a bright, spacious suite including full in-room facilities such as washing machine, tumble drier and dishwasher. My only complaint is that, despite CL's stated environmentally-friendly policy, the sheets and towels were changed after only one night of a three-night stay, and the cleaner used the dishwasher in our absence to re-wash two glasses, two plates and two cups that we had aleady washed by hand. First class facility. This staff was very helpful. They also loaned me adapter for cell phone charging. Close walk to Maritime Museam and food court. I'd stay there again. My wife would have been happy there too! It is right on the main street of city. walking to downtown shopping mall around 20 minutes and many shops and restaurants around the hotel.staffs in reception and concierge are friendly and helpful.It was fantastic for staying 3 nights. Fantastic! We really felt like we hit the jackpot on this booking because of the reasonable price for 2 rooms and the location. No need to rent a car from the airport, Skybus drop off is right by the hotel and there are more dining, shopping options than you can count. You can also walk to Viaduct Harbor and take excursions from the harbor with no problem. So happy with this stay! Excellent. I was pleasantly surprised by the genuine friendliness and attentiveness of the staff. Only thing that should be fixed is our first night room the shower door leaked a lot (the bathmat was soaked and had to squeeze it out to wipe up the water. Sorry, forgot to report it). The second time the shower door leaked only a little. We felt very welcome from the reception, all the staff were very friendly and helpful. I think they are well trained and very professional, with a welcoming warm smile on their faces. The room was comfortable and very tidy. We really enjoyed our stay. Would definately like to come back again. the location was very handy and centrally located in the city centre. shocking stay doubt we will go again. we often have stayed here for events and our room this time was dirty, curtains hanging of the wall, air con didnt work properly, room had been cleaned with cheap stinking cleaning - felt out of date and lacking standard. was not good value for money and they need to step up!